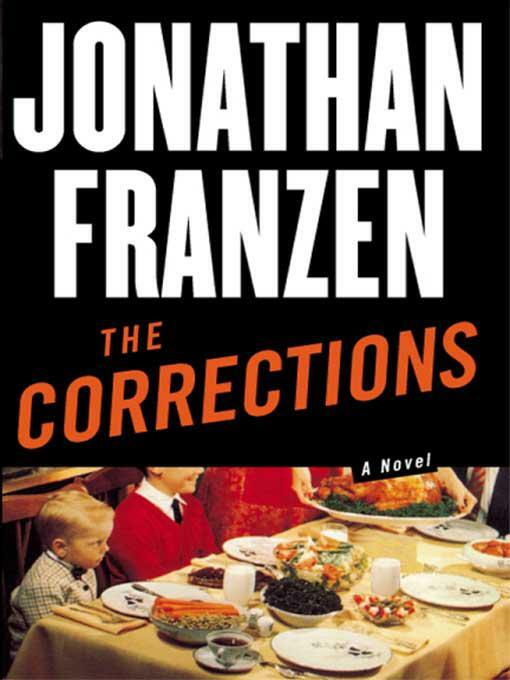 When I posted about Jonathan Franzen’s The Corrections on Facebook, I saw a wide variety of responses. Lots of love. Lots of hate. Most of the things people responded negatively to–the smugness, the lack of sympathy for its characters, the unrealistically-portrayed female characters–are real facets of the book, and they are very valid reasons to dislike it. Jonathan Franzen’s smug and crochety public image also don’t do the book any favors. But, to me, the good outweighs the bad. I haven’t read any contemporary book that was both ambitious in this way and well-written in this way. Not that contemporary books can’t be ambitious and well-written; it’s just that there’s a very standard sort of ambition and a standard sort of good writing. Most ambitious books announce their ambition. They’re like The Brief Life of Oscar Wao or Infinite Jest. They contain pyrotechnics: little clues that tell you this book is an important book. They tell you that they’re about big events and big themes. They span generations and many characters. They contain stylistic flourishes that call attention to themselves. And most well-written books are also well-written in a very flashy way. The standard term for this kind of writing is, I guess, “lyrical” writing. There’s nothing wrong with it, but it’s also a style. Take, for instance, Cormac McCarthy. He’s an amazing writer; one of the few writers whose sentences really do have a lot of rhythm to them. But the sentences also flow over you. After you read enough of them, you start to feel like it doesn’t matter what they’re describing: the music is all that matters. Franzen is not like that. His novel is outwardly simple: it’s about the members of one midwestern family whose matriarch wants them to all come back home for Christmas. And the writing is very pointed. There’s never more in any sentence than exactly what needs to be there. And every sentence is designed to give you more information about each character. His scenes and settings are very well-observed, but you’re not given reams of detail simply to establish verisimilitude. Instead, it feels like each one was purposefully placed. You feel like each sentence and each scene is being constructed. Like something important is happening. The book isn’t just a family saga, it’s also about something. It’s about how and why to live. But not in any abstruse, philosophical way. It’s about how to figure out how to live when you don’t know anything about the world–when you don’t even know who you are or what you believe in. Its true that there is a harshness to the way they’re portrayed, but the characters in The Corrections are so lost and so confused that I actually found them rather endearing. Anyway, I am only a hundred or so pages from the end, and I still think that The Corrections is one of the best books I’ve ever read. Do you think that authors really dislike their villainous protagonists as much as they claim to? It’s competent in a modern sort of way, but Dostoevsky this is not. I disagree. I’d say that it’s superior to Dostoyevsky in several ways. For instance, Dostoyevsky is a great writer, but he’s not very observant. His scenes and settings have great passion, but they don’t feel quite real in the same way that Franzen’s do. Dostoevsky lived in an age of extremes. He faced his own execution which was only called off at the last minute. His books may not seem real to some modern readers but there was real truth in what he was depicting. His world just seems very distant to us today. The Corrections, on the other hand, is glorified soap opera. Ya, I loved this book so much. Just finished it. The book remained pretty sweet up to the end. It’s also very tightly constructed, for such a long and seemingly-meandering novel. It’s really fairly rigidly focused both in terms of time and in terms of the throughline (coming home for Christma). I appreciated that.